After the success of her previous critically acclaimed albums, film score credits and world tours, Clara Sanabras returns to her roots with an intimate homage to exile – told in Spanish, Catalan and English, with her award-winning band, featuring Spanish folk legend Eliseo Parra, Catalunya’s leading traditional wind ensemble Cobla Sant Jordi, acclaimed Elysian Quartet and maverick musician Harvey Brough (Harvey & The Wallbangers) who produced the album with Peter Schwier (Dexys). As one may expect, “Songs Of Spanish Exile” is a visionary, musically expansive voyage. 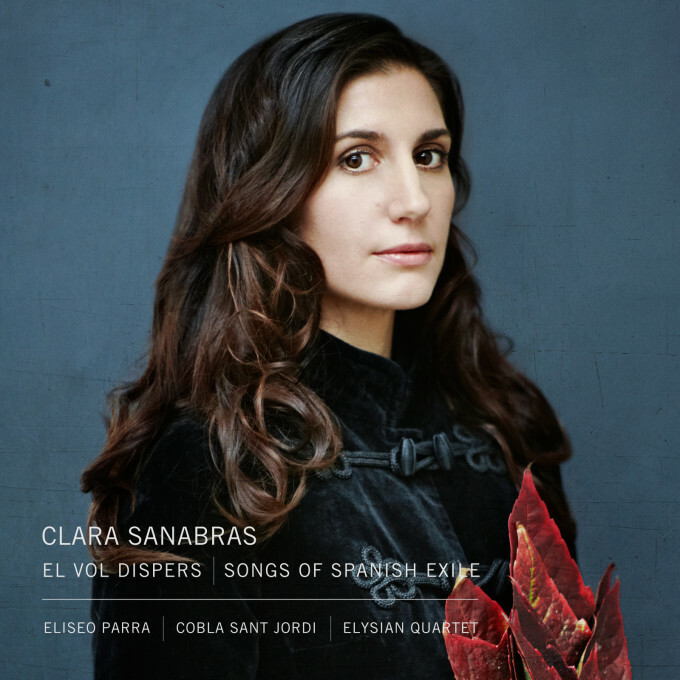 In Sanabras’ words: “Songs of Spanish Exile was conceived symbolically and non politically as a homage to the stories that my ancestors passed on to me, about their experiences of exile”. The collection comprises brand new songs, full of literary references: from Lorca to Hemingway; settings of seminal poems from Salvador Espriu to John Donne; as well as traditional Catalan, Spanish and Sephardic tunes and one Scottish folksong.